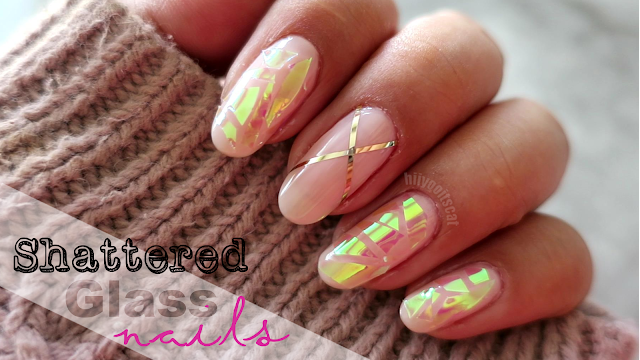 Cruelty Free: Some places say yes others say no, so I will go with unknown. Claims: "Curl lashes from the roots at a stroke and create glamour. Just one squeeze firmly catches lashes at the root leaving them beautifully curled. Edge-free design prevents pinching. Broad curve curls all lashes from the inner to the outer corner in one squeeze. " Just another review for reviewember! This is another little present I bought myself for my birthday last month. I have been wanting to try this eyelash curler for a while now and am glad I finally made the purchase. This eyelash curler has received a lot of raves for people with short and stiff lashes. I guess I can say it is a bit pricey compared to other eyelash curlers such as elf but if you compare it to the other eyelash curlers at sephora this is one of the inexpensive ones. This eyelash curler is dark grey and is valued at $19. It is not a spring loaded eyelash curler making it a manual curler. The eye curve is wider and not as curved as other eyelash curlers. The rubber pad is stiff but soft enough to handle your lashes. Speaking of handle, the handles on the eyelash curler are very comfortable and fits my fingers well. It is also easy to clean and wipe off any mascara that gets stuck on it. The ELF eyelash curler is the only other curler I own. I have used other brands but they did not work for me. Then I discovered the elf one which curled my lashes but I noticed recently that it just doesn't do the job anymore. The photos below is only shown for you to see the comparison between the eye curves. You can see that Shiseido's eyelash curler is flatter than ELFs'. The eye curve does grab all of my lashes from inner to outer but at first I had trouble getting my inner lashes to curl. I do have to move the curler a bit to get the inner ones to curl and once they do they stay curled =). I was seriously impressed at how well my lashes stayed curl with and without the mascara. My lashes were still some what curled the next morning after removing the mascara with eye makeup remover, washing my face and moisturizing. Is that amazing or what? My lashes are really stubborn and usually don't stay curled for longer than 10 minutes even with a non-waterproof or water-proof mascara. 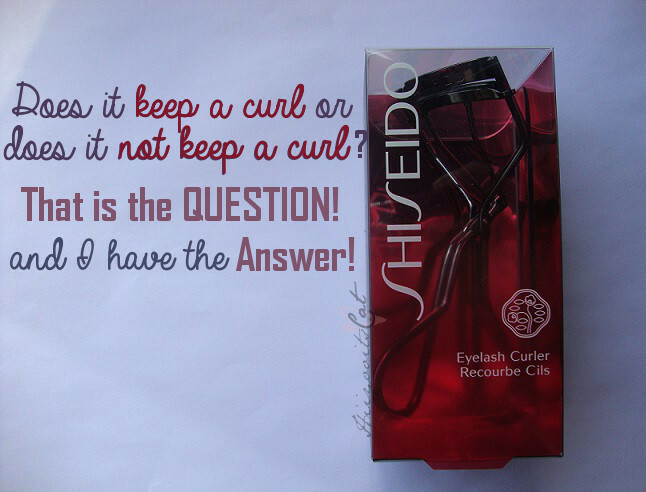 So you can see why I am so impressed by Shiseido's eyelash curler. It literally kept a curl from the moment I curled them till the end of the day and even after! Any eyelash curler that has my lashes still curled the morning after without any mascara is an A+ in my book. At first I did feel a slight pinch the first few times I used it. I was not use to the eye curve being wide but once I got the hang of it I was able to get it to the bottom of my lashes and curl without pinching. So let's hear it readers, what do you think of Michelle Phan's make-up line? Specifically the life palettes, have you given in and bought one? or will you be getting one after reading this review? Stay tuned for my review on the 'ros gold water liner' as well as the 'chiaroscuro highlighter/bronzer in light' also by EM Cosmetics. I will also be featuring a MMU post using this palette. I might have to give this one a try. I have very short stubby lashes. Thanks for the review! I honestly never bother with eyelash curlers because the first few I tried just didn't work for me. I guess I assumed they would all be as useless. that's how I usually feel with eyelash curlers. You should head over to the shiseido counter and ask them if you can try it out before purchasing =). Try it, walk around the mall and at the end of your shopping check your lashes out. This is a very well loved curler. Although if you want to give something else a try, try the Japonesque one. The little part that sticks out (and hits your cheek below the eye), is on the outside rather than the inside. And I find it helps me reach my short lashes more easily. ooh.. I will have to give that one a try then =) Thanks for the recommendation.